Established in 2014, United Way United Kingdom provides support to ensure every person can reach their full potential through education, income stability, and healthy lives. We work in the heart of disadvantaged communities to identify local needs and collaborate with local partners to address these needs. We develop and deliver projects that have a positive impact on the entire area by creating opportunities for under-represented communities. Give Local is an innovative way for corporates to engage their employees while maximising benefit for small charities helping their local communities. In the UK, the largest 0.36% of charities receive nearly 50% of all charity income but are often unable to provide crucial aid to local communities, due to knowledge gaps around local issues. Give Local is a payroll-giving based programme that was established to bridge this gap, adapting United Way’s successful model of civic engagement to the UK marketplace. It facilitates volunteering and giving to organisations working at a local level, optimizing their local expertise and building their capacity to deliver. Give Local has supported more than 60 local charities since its launch in 2016, and While the average national UK payroll giving rate is only 4%, the average payroll giving rate through Give Local is 31%. Our pioneering “Give Local” campaign with Costco has won “Most Innovative Campaign” in 2016, and “Best Promotional Partnership” in 2017 at the National Payroll Giving Excellence Awards. The United Way Reading Oasis is an early intervention programme that helps the most disadvantaged children in the country to improve their literacy before and during primary school. A Reading Oasis is a dedicated, bright, inspiring, engaging space that will harbour a love for books and support children to learn to read. Equipped with everything a child needs to learn to read, our Reading Oases are proven to have a positive impact on a child’s learning and future education. 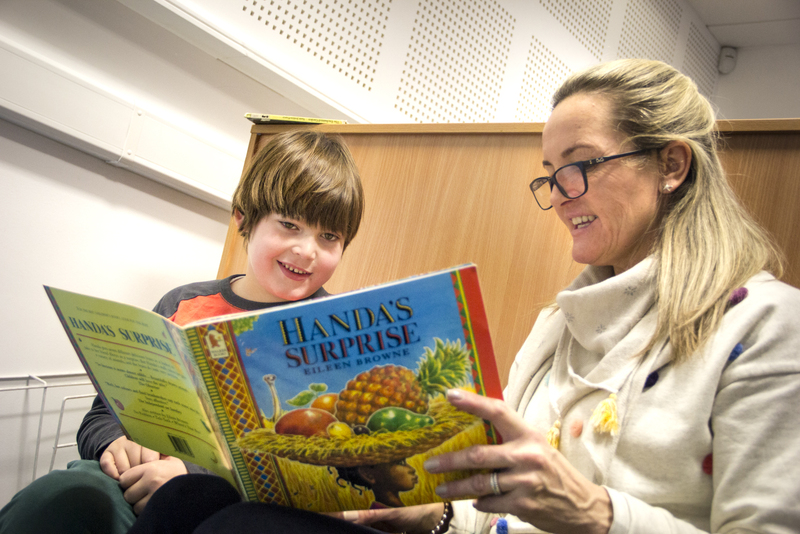 Reading Oases have been established in 15 schools in London and Liverpool, benefitting over 5000 children. Click here for our annual report.